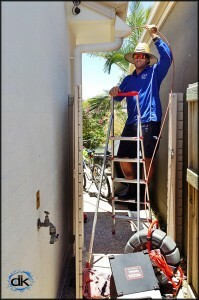 At dRAINS kLEEN we take pride in offering the best possible drain cleaning and plumbing service in South East Queensland, at the right price. Our Customers have provided Testimonials to prove it. We find solutions to fix all of your plumbing and drainage problems, therefore, preventing issues from re-occurring in the future. This is why, our customers, are always left satisfied. 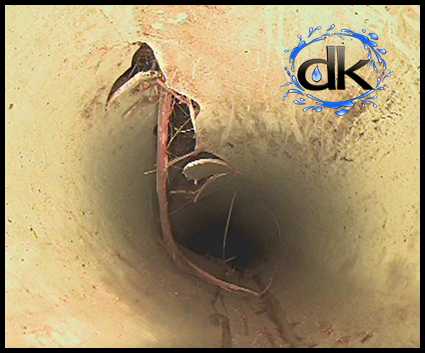 Contact us now.. We are ready to HELP with your drains too. We cannot speak highly enough about the service we received recently from Drains Kleen, we first engaged another company to clear a blocked drain, they gave up after 1 hour and gave us a quote to dig up the drain. 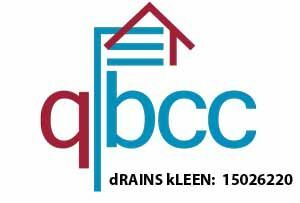 Just want to say what wonderful service we have received from Darren and his team at Drains Kleen. We called Darren about a year ago when both ourselves and our neighbour were having similar issues with leaking water pipes. He spent time with us working out a solution and was very reassuring. A year later, and we have both had him return to check what had been done, to ensure that the problem was not ongoing. The result? As good as the day Drains Kleen had fixed the problem! Efficient, reliable service – thanks Drains Kleen! Dave was punctual and really helpful in finding a solution to our drain blockage. Highly recommend!! A Big Thank you. Jake was very patient and took the time to politely answer any queries I had, which is a rare occurrence nowadays. The best thing is that, I feel confident and assured the job is in good hands and done well. NO ‘what ifs’ like I had encountered from earlier with the 2 crappy jobs done by others. Excellent prompt service for a drain issue during all the rain at our factory. Fair value and excellent follow up. Will use them always in future. Drains Kleen was quick and responsive and sorted my outdoor drainage problem. Would highly recommend them. We found Drains Kleen a very efficient company to deal with. Jake gave us advanced notice of his arrival and was extremely polite and knowledgeable. Jake was very accommodating and confident and did an awesome job in rectifying our drainage issue. Money well spent. Mark was fantastic. Turned up early (very unusual on the Sunny Coast), worked really hard & told my husband what he could do to help with the whole process (saving us money). We’ve just received the invoice & could not be more thankful. The rate that they have charged for so much work is very reasonable. Thanks team!! Darren was our first choice after a conversation regarding our drain in our ensuite being blocked with Ardit floor leveller . Jake arrived and after inspection was confident of clearing and got straight into it . Jake was fantastic and we now have a fully cleared drain . Other companies said it could not be done . Kari was also fantastic and very friendly . Great company cant thank you enough . Dont waste time with others . One of your guys Brad, visited my place on Monday 04/05/2015 to rectify a blocked drain. Brad is a credit to your business, Firstly he was on time and extremely polite and explained the job ahead with great detail. He worked quickly and got the job done in a very timely manner. I would defiantly recommend Brad and your company to my friends family and colleagues. Thank you for having Brad attend our home yesterday so promptly. Being a business owner & in the building game I understand the importance of professionalism and ensuring quality service. I thought I would give you some feed back re: our experience yesterday. Brad arrived & spoke with Glenn on the phone as he was not able to be here at the time and discussed what was needing to be done. Glenn was very pleased with Brads response and felt confident this guy knows what he is doing. Once Brad assessed the situation he called Glenn back to advise of the issue and had it rectified in no time at all. Brads professionalism & the service provided was second to none, being in the game, I know how hard it is to find tradesman that present them self in a professional manner as Brad did. Thanks Darren, I have no hesitation in recommending your company to to any of our colleagues, Friends & family. Your business was recommend by a work colleague and his comments were that “if you ring and have to leave a message they return your call quickly”. ”When they arrange to be there at a certain time they turn up”. ”They are professional in their work and do not waste time”. ”They have all the equipment they profess to have and know how to use it”. ” My experience with your business, imaged his recommendation and I was impressed by the service”. Unfortunately trades people on the Sunshine Coast have a very poor reputation for not delivering the service you provided. Once again, thank you all for your excellent service. I would not hesitate to recommend your business to anyone and will feel confident in doing so. I am writing to say thanks for a job well done. Over the past twelve months I have had to call on Darren from Drains Kleen for two separate sewer blockages, one instance of foreign objects caught in the storm water pipes plus one for Root control by the application of chemicals.. I can recommend Darren to do a good job and with the right equipment every time. “We were so very impressed with Darren’s service, we wanted to provide a testimonial immediately. We had a difficult septic/soak away issue that had been sort of ok for a while, and then suddenly got really bad on a Friday; typical. We had been given all sorts of advice, and a couple of chilling quotes in the past. I stumbled onto Darren’s website, was impressed and called him straight away; I am so glad I did. 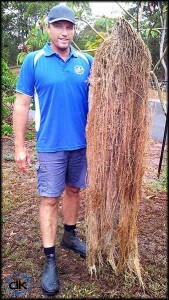 Since buying our property in Mooloolaba in 2008, we have gradually had increasing water problems. We tried many “remedies”, which over time cost quite a bit of money with very little result. Then we were told about Darren and his “whiz-bang” machine – fascinating!!! Despite the foul weather last month he turned up on time, worked his magic and was gone within 3 hours. He worked in conjunction with our plumber Allan Stevens and when they extracted the offending pipes they had half a tree in them. The price was very reasonable and my husband is looking forward to the next downpour so he can watch the water gush out where it is supposed to, and not right through his garage. Thanks Darren – great job from a great guy!!! professional and conducted a check of the piping with his camera system. 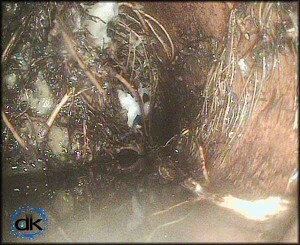 He identified three blockages in several pips caused from roots. He then spent 3 hours and cleared all the pipes producing photos of the blockages. By the time he left all the pips were clear and the water was successfully getting away like it should. Given the time he spent at out address his fee was very fair and as result I would recommend him to anyone with blocked pipes. Thanks Darren for a job well done. 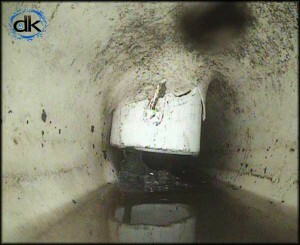 A CCTV inspection of your drains can confirm dodgy pipework has caused your drainage problems. Ensuring your drains have been laid correctly.